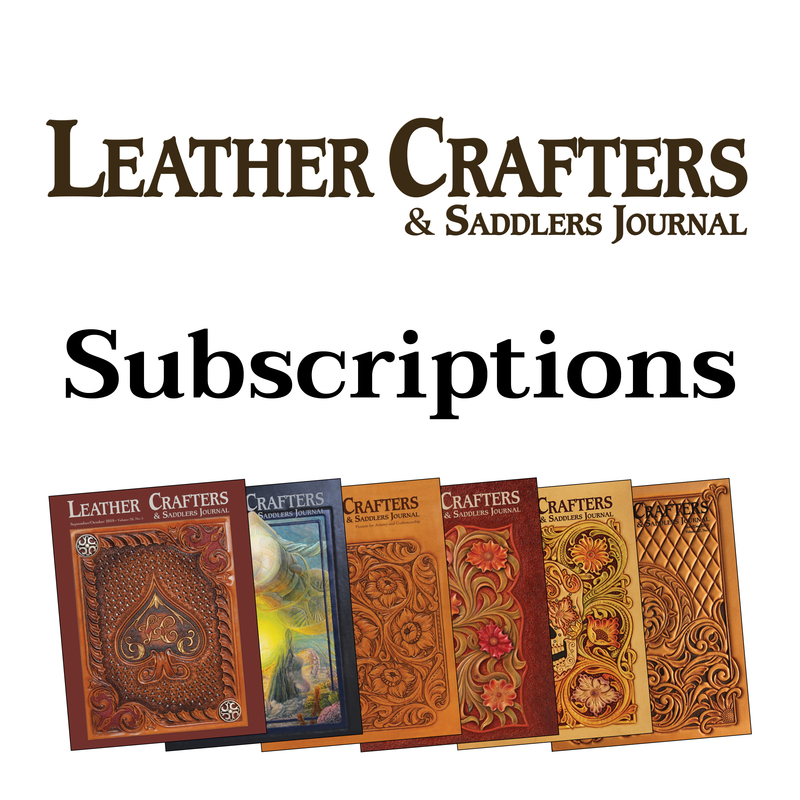 The Leather Crafters & Saddlers Journal delivered to you! 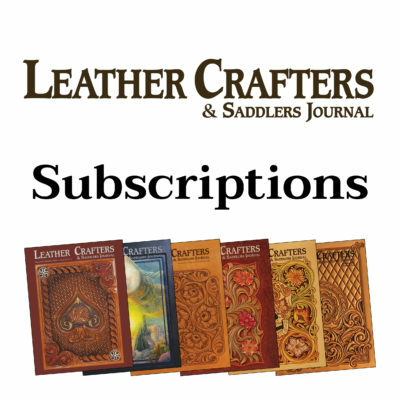 Numerous how-to leatherworking projects, instruction and tips, all authored by leatherworkers for leatherworkers, come to you in each full-color, 80 page, bi-monthly issue. These are accompanied by the Big 21” X 31” Pattern Pull-Out Section providing you carving patterns and cut-out templates, printed on durable material to use again and again. In addition, you’ll be linked to scores of suppliers who can provide what you need to get the job done. And stay current and connected through the Leather Industry News, Coming Events, Dealer Directory, Classified Ads, Leather Guild Directory and Trade Show Announcements & Reports. Yes, Lots of Good Things Come From The Journal! Listed below are details for: 1)Print & Digital Subscriptions 2)Digital-only Subscriptions 3)Gift Subscriptions. – Receive the printed version of the Journal in the mail and view the magazine on-line in digital format. – New Subscribers – Your subscription (both the print and digital editions) will begin with the July/August 2019 issue. – Renewing Subscribers – Your subscription renewal will begin after your current subscription expires. If your current subscription has expired, your subscription renewal will begin with the July/August 2019 issue. – Missed issues can be purchased as Back Issues from our On-line Store. – Each new issue mails at the end of each even numbered month. – Digital Editions are available to view on-line in the beginning of each odd numbered month. – All funds in U.S. dollars, payable through a U.S. bank. – If you have any questions, please contact us at 715-362-5393 or Toll Free in USA or Canada at 888-289-6409. We will be happy to assist you in any way possible. – New Subscribers – Your subscription will begin with the current Mar/Apr 2019 issue. – Renewing Subscribers – Your subscription renewal will begin after your current subscription expires. If your subscription has expired, your subscription renewal will begin with either the Mar/Apr 2019 issue or the May/Jun 2019 issue, dependent upon the last issue of your expired subscription. -Allow 2-3 business days after ordering for your current digital edition to be activated for on-line viewing. – Printed versions of missed issues can be purchased as Back Issues from our On-line Store. – Each new issue available to view at the beginning of each odd numbered month. Attention: Please include a gift message in the “Order notes (optional)” text box located below the shipping address, during the check-out process. – A Gift Letter will be sent to the recipient at no charge. A personal message from you can be included in the letter. When checking out, type your message in the Additional Comments box located in the Payment Section. – New Subscribers – Your subscription will begin with the July/August 2019 issue.